Once again, I am so excited to participate in Bren’s Hispanic Heritage Month ‘All Around Latin America’, her 4th Annual Virtual Culinary Trip that takes you on a foodie discovery trip around Latin America – buen provecho! Two years ago, I shared our recipe for Crab Cakes with a Papaya Mango Salad that is inspired by the flavors of the Caribbean and the fresh available seafood of the islands. This year, I’m sharing a traditional recipe for a classic Brazilian sweet treat, Brigadeiro. These Brazilian Chocolate Truffles are so simple, you’ll be making them for parties, dinners, celebrations – heck, you’ll make them on a Tuesday just because they are that simple and that delicious. 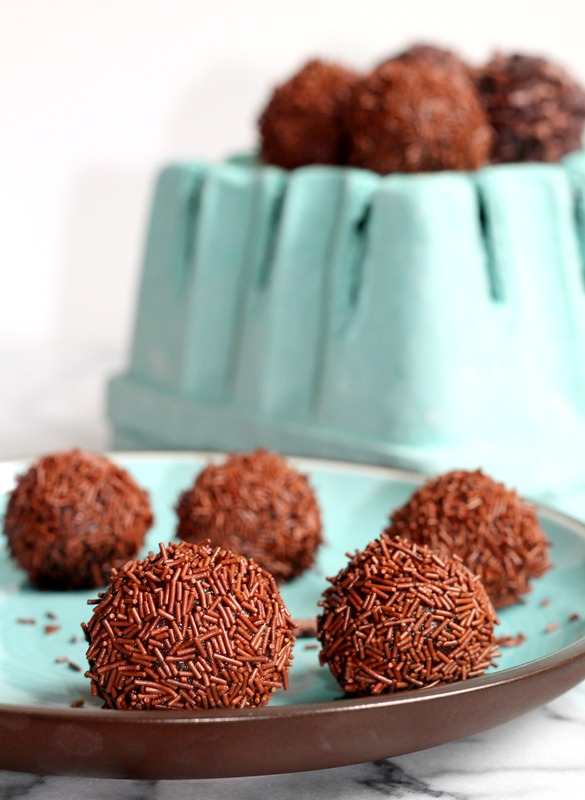 Made up of only five ingredients which I’m pretty sure you have them all in your pantry, these Brigadeiro will impress your guests and have you smiling from ear to ear knowing they only took you ten minutes to assemble. Sweetened condensed milk is such a staple in the Latin pantry. I have fond memories of drizzling it over fresh mangoes and guavas, and just eating it by the spoonful. It was cloyingly sweet, but oh so good! Bite down into one of these Brigadeiro and it literally melts in your mouth, chocolate swirling flavors with a hint of sea salt and vanilla. Find the recipe for Brigadeiro (Brazilian Chocolate Truffles) on the Flanboyant Eats website, where I’m contributing today! I STILL need to try these tasty Brazilian truffles! They look awesome! I’m pretty sure and over confident I could eat the entire batch and not feel a slither guilty! So happy you’v joined us this year! WE love it and clearly so is everyone else! Pretty sure I could eat A LOT of these!! !